(11/P134) TRENTON - Dr. Adam Cohen, a veteran expert on nuclear power and safety issues, has been appointed as the independent expert to the Oyster Creek Safety Advisory Panel, which was created earlier this year to supplement oversight of the safe operation of the nuclear power plant in Lacey Township leading up to its closure by the end of 2019. Dr. Cohen, chief operations officer at the Princeton Plasma Physics Laboratory, will serve as the third member of the advisory panel, along with DEP Commissioner and Safety Advisory Panel Chairman Bob Martin and Charles B. McKenna, Director of the State Office of Homeland Security and Preparedness. DEP nuclear engineers and experts will provide their expertise to the panel and serve as its staff. Dr. Cohen has more than 25 years of experience in management of research and development, strategic planning and operations at Princeton Plasma Physics Laboratory, Argonne National Laboratory, and the federal Department of Energy. He served as senior advisor to the Department of Energy for nuclear energy programs. Dr. Cohen was chosen for the paid position through a public request for proposal process, which drew six qualified respondents. "I am excited about being chosen for this position and welcome the opportunity to help ensure the continued safe operations at Oyster Creek, as well as moving forward in plans for the decommissioning of the nuclear plant,'' said Dr. Cohen. The Safety Advisory Panel will assist the DEP with evaluation of the continued safe operation, decommissioning planning, and cessation of operations at the Oyster Creek Nuclear Generating Station. It will actively engage the public as it reviews ongoing operations and safety plans in the years leading up to plant closure. The panel will hold its first public hearing early next year. It will monitor the Exelon Corporation's compliance with the Administrative Consent Order signed December 9, 2010, which is designed to ensure that the shutdown of the nuclear plant is executed in a safe, well-planned manner. The Administrative Consent Order includes an implementation schedule, progress report requirements, and requirements for development of post-shutdown activities. Dr. Cohen's duties as a panel member will include reviewing records and conducting independent evaluations of the nuclear facility, making recommendations to the Nuclear Regulatory Commission, issuing reports on review findings, and conducting public meetings, at least annually, to discuss those findings. Closure of the Oyster Creek Nuclear Generating Station, the oldest nuclear reactor in the nation, is a key component of Governor Christie's comprehensive plan to restore and protect the ecologically unique and economically important Barnegat Bay. In December 2010, the Christie Administration negotiated an agreement with Exelon Corp. to shut down the reactor, which diverts massive volumes of cooling water from the bay, rather than build a closed-cycle cooling system to reduce impacts to aquatic life. The deadline for shutdown is Dec. 31, 2019, ten years ahead of Oyster Creek's NRC license expiration. 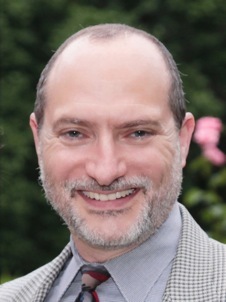 MEDIA: A photograph of Dr. Cohen is attached.